In the world of business, Frank S. Greene, Jr. is a true renaissance man. He is a venture capitalist, electronics technologist and high-tech business executive. Greene was born on October 19, 1938, in Washington, D.C. to Frank S. Greene, Sr. and Irma Olivia Swygert. Greene has extensively studied electrical engineering, earning a B.S. from Washington University in St. Louis (1961), a M.S. from Purdue University (1962) and a Ph.D. from Santa Clara University (1970). 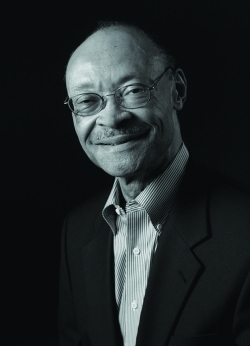 After completing his master's degree, Greene served in the United States Air Force as an Electronics Officer for four years, during which time he helped develop high performance computers for the National Security Agency. In 1965, he began working in research and development for Fairchild Semiconductor, where he assisted in the development of a patented memory chip design, the fastest at the time. In 1971, Greene became the founding CEO of Technology Development Corporation, a computer software and technical services company that would grow from four employees to over 300 by 1985, with annual revenues of over $30 million. As an offshoot of Technology Development Corporation, Greene founded Zero One Systems, Inc. in 1985. In 1993, he served as the founding General Partner of New Vista Capital, and the subsequent New Vista Capital Funds. With New Vista, he organized and developed a private equity venture capital fund and acts as a business and financial advisor to start up technology companies. In addition, Greene has shared his expertise in the classroom, teaching courses in both computer sciences and electrical engineering at Stanford University, Santa Clara University, Howard University and Washington University in St. Louis. Having sat on the boards of directors of Technology Development Corporation, Networked Picture Systems, Comsis Corporation, Beyond Software, Inc., Greene currently serves on the boards of Broadware, Compliance Coach, Quippe Technologies, ZNYX and Epicentric. In addition, he participates in community activities as a Board Member for the National Conference for Community and Justice and the American Musical Theater of San Jose and as a member of the Home Savings Community Partnership Council. Greene was the recipient of the Purdue University Outstanding Electrical Engineer Award in 1999; was inducted into the Silicon Valley Hall of Fame in 2001; and was awarded the title of the Santa Clara University Distinguished Engineering Alumnus in 1993. Mr. Greene passed away on December 26, 2009.